This is gorgeous Dd. Super colouring. Well, that is different. Where do you find these gems! That's a lovely plant DD. 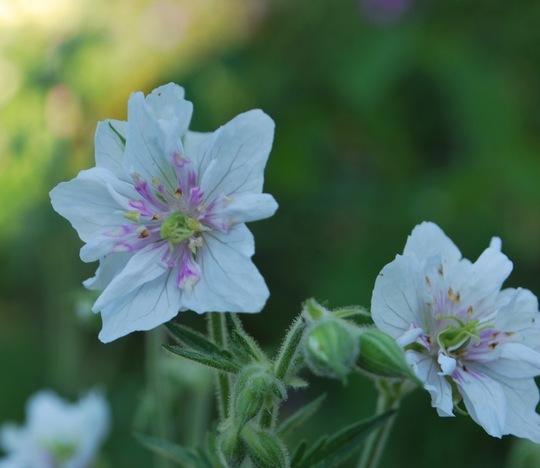 The geraniums in my garden have done well this difficult year.They bloom or even if they don't have a lot of care. I havn't been on GOY much this year as hubby has been in and out of hospital and finally in but not out. Final farewell tomorrow. The heatwave has been spectacular, good excuse to linger indoors in front of the tall fan. It's a good job I like football and tennis! Done plenty of watering and now shrub clipping. This is rather beautiful in a very demure way! Dorjac you cannot beat HGs can you for value for money.... good to see back again, hoping all is well now! football was a big disappointment wasn't it?